Let’s get real here for a second – this trench coat and I have a love/hate relationship. I loved the idea of it, but if I’m being completely honest it’s not my favorite thing I’ve sewn and I’m going to make another one to include in my capsule collection for the year because I don’t think I’m going to wear this one. Sometimes, yes you have sewing fails and I frequently have to talk myself into thinking I’m in love with a project when really I’m not. The final straw was literally the morning before I photographed this garment, I found it in my sewing studio hung up with a huge yellow stain starting at the shoulder dripping its way all down the sleeve, it’s like it was a sign… My above floor neighbor’s dog had an accident and due to the old loft style of our building, it’s dripped through and onto my newly made white wool coat. I panicked because I had to photograph it that day and washed it in cold and left to air dry. The sun was on its way down and I needed to capture it in the daylight so honestly in these pictures it’s still a bit damp, and I tried my best to work with the steamer to get out all the kinks. Oh the behind the scenes, haha! So it definitely doesn’t look its best and I think my decision to not use interfacing for a more “drapy” look really didn’t translate well. I do however still stand by the ivory/beige mix, I do enjoy those colors together. But hey, how are you going to learn if you don’t try and fail! That’s what I always tell my students, and even I make mistakes and sometimes it’s hard to admit it. 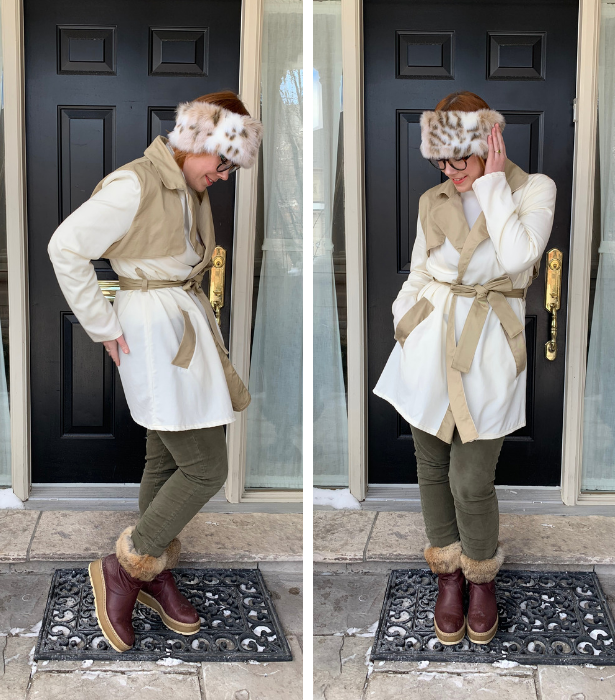 I talk about it in this Sew & Tell episode about my sewing slump and this was going to get me out of it, but now I’m even more excited to make another one of these trench coats in a printed fabric and I’ve had the experience of already sewing one together! I’m heading out fabric shopping today. I still LOVE the pattern, and the open nature of the coat. The large welt pockets are also a fun detail that I liked. The different weights of the fabrics in the end garment didn’t flow as nicely as I would have liked. I think I’ll selvedge the fabric from this make and turn it into something else! Love the challenge of that. 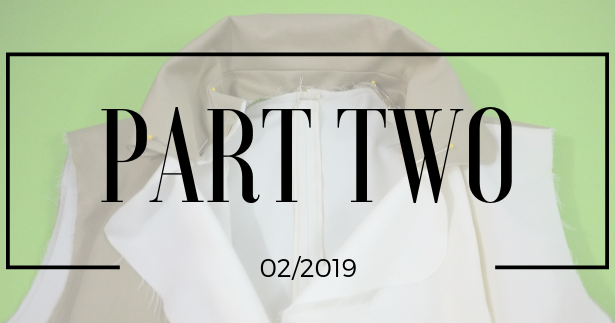 When making my second coat, I’ll still follow all the same construction steps as below in my tutorial posts below. I mean, I nailed that welt pocket! The coat definitely looks its best at the end shot of Part 3 before a dog peed all over it – but even still then I wasn’t crazy excited about it as I usually am at this stage of my Mash Ups. Like this dress I was ecstatic for! 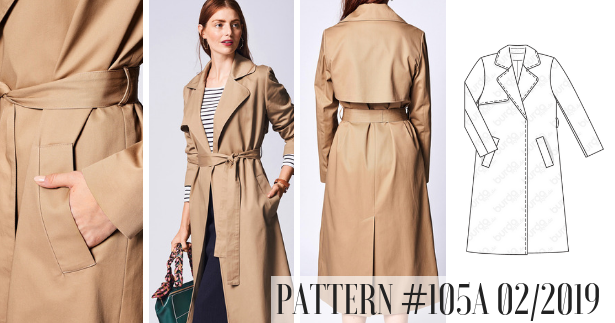 So this trench coat pattern will still be in the mix, but a different version. Now onto other garments! 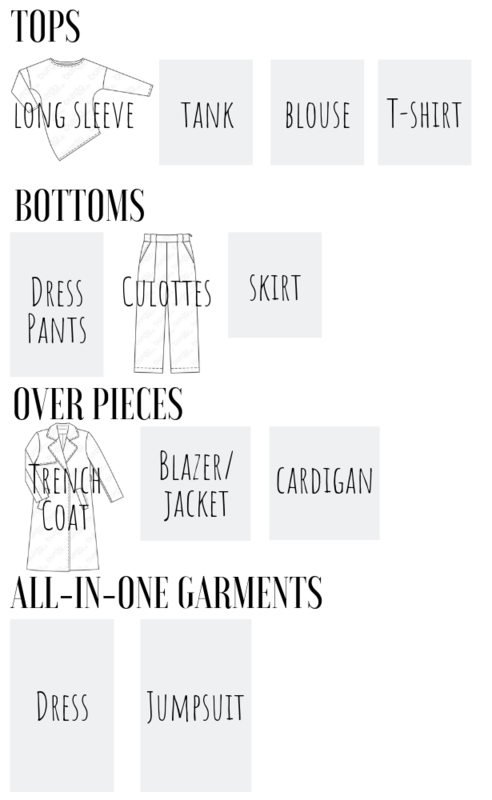 For my “culottes” garment, I’m actually going to make this pattern from the March 2019 issue. They are not technically culottes, but I love the cropped hem of them as well as the wider leg. 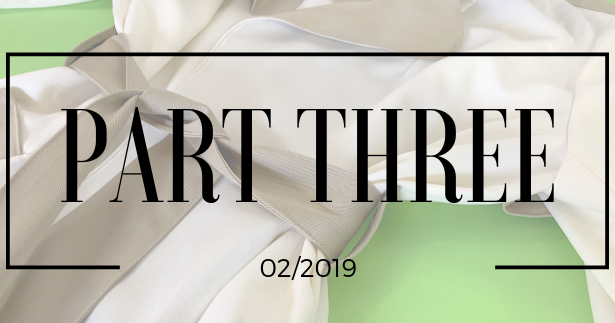 Thanks for reading my rambling, but I think it’s important to acknowledge when you are just not crazy about something you sewed and not happy with how it turned out – it’s all how we get better as sewists. Thanks for posting we all learn from each other! It’s not bad , just a bit odd, with what you said the different weights but… if you don’t try how will you know ? Been there, done that! I do love the color combination and the look in the photo. 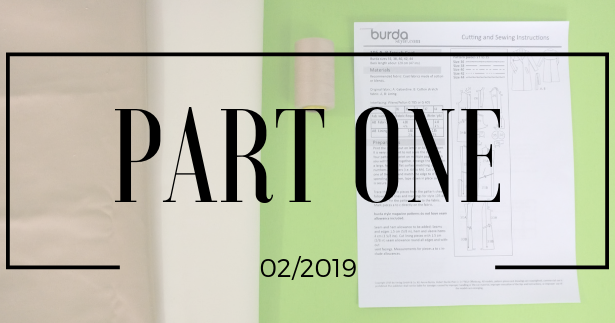 You may not like it but your step by step posts are very helpful… I am working on the pockets right now and I really appreciate those photos! Thank you! I love the juxtaposition of the taupe against the cream fabric. Great idea. Wow Meg, you have done it again. It looks absolutely great.